‘Last Call’ for the Bride–the last opportunity for the Bride to participate in Passover for a given year. We recall from previous thoughts, that Passover and the other Feasts are not exclusively for our Jewish Brethren, but for all of Yahuweh’s Redeemed people, including those grafted-in by Faith. The Feast of Passover is such an important Feast for New Covenant Believers, that Yahushua has given us two opportunities each year to observe it. First let’s see why Passover is so important. The New Covenant: What it is — Scripture has many passages that define various aspects of the New Covenant, found in both Old and New Testaments. We will look at two of these passages. Here we are told that the New Covenant is the writing of the Torah on the heart of His people (those who had earlier been Redeemed by the Blood of the Lamb). Here we see the New Covenant is the Passover Cup, the familiar third Cup of Redemption of the Passover meal. At the Last Supper, Yahushua identifies for the first time that the familiar Blood of the Passover Lamb signifies His Blood, telling us that He is the familiar Passover Lamb. Now we will look at the significance and great importance of Passover. 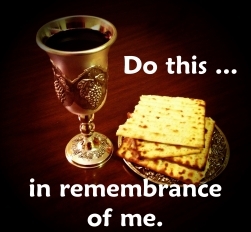 First, the sharing of the Body and Blood of Passover simply signifies to all parties that the New Covenant — the writing of Torah on the heart of the recipient — has been received and embraced, and ratified by the Blood of the Covenant, in accordance with Scripture. Second, the taking of the Passover Cup likewise signifies that the New Covenant Bridegroom’s offer of Betrothal has been received and agreed to by the recipient, in agreement with the Betrothal requirements of the traditional Jewish Wedding. As we have mentioned in other writings, the Passover cup is the New Covenant in Yahushua’s Blood, and is Mankind’s acceptance of the Betrothal agreement between Yahushua and His Redeemed people! Those who are Born-Again, and who drink of this Passover cup, are those who have chosen to participate in Yahushua’s New and Eternal Covenant, the ‘beriyth owlam’ mentioned 16 times throughout Scripture, and once again in Hebrews 13:20. Thus for Yahuweh’s people who have been Redeemed by the Blood of the Passover Lamb, the Passover Bread and cup is most significant — and not merely symbolic. Now let’s notice the dates for Passover. The First Passover of each year is on the 14th day of the First Biblical month (Lev 23:5). 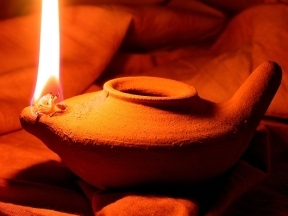 We are then told (Numbers 9:11) that anyone who missed the first Passover, by reason of being unclean or on a journey, may have one last opportunity for the year to keep the 2nd Passover. The Second Passover is to be on the the 14th day of the Second Biblical month. Depending on the sighting of the new moon, this date is likely to occur in late April to early May. Look for updates and for the posted date of this event. We have seen the great importance of Passover. Now we see the Second Passover is indeed the ‘Last Chance’ Passover! The Passover and other Feasts are not exclusively for our Jewish Brethren, but for all of Yahuweh’s Redeemed people, including those grafted-in by Faith. The Passover is such a vital part of the New Covenant, that Yahuweh has made provision for a second- chance Passover date, so that all may have opportunity to choose to be among the Bride- Company!